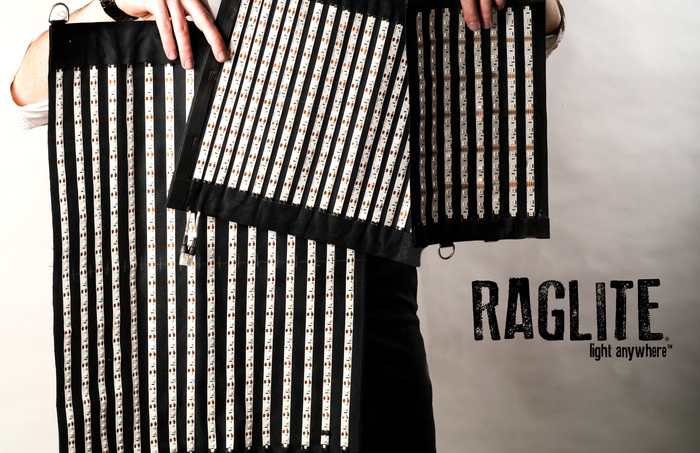 Pioneering Fabric Mounted LED Lighting Systems for consumer, commercial and professional markets. 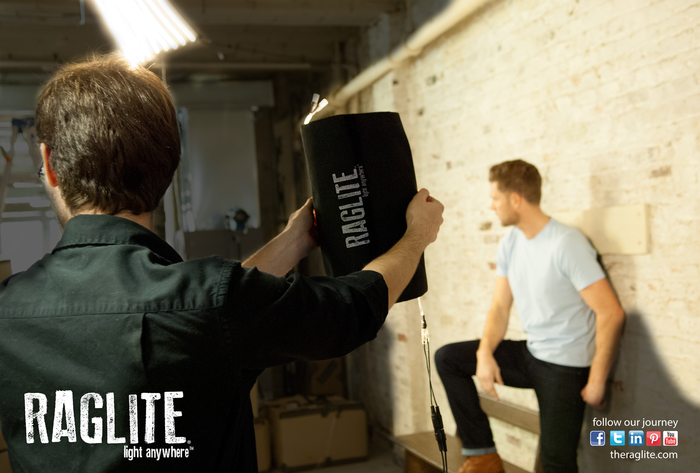 The Raglite is the first-ever FLEXIBLE LED LIGHT BANK according to its Kickstarter campaign and it’s set on turning the portable lighting market on its head. 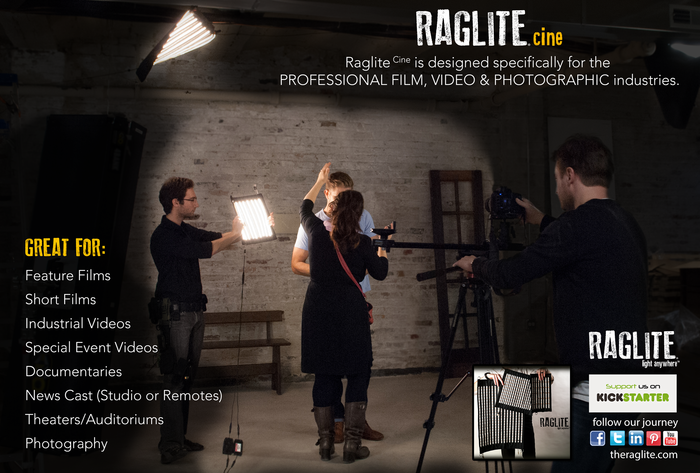 Just imagine not having to lug all those heavy (and not to mention dangerous) lighting rigs every time you have to shoot outside of a studio.Also the ability to be able to hold, hang or lay it just about anywhere, without fear of it over-heating. 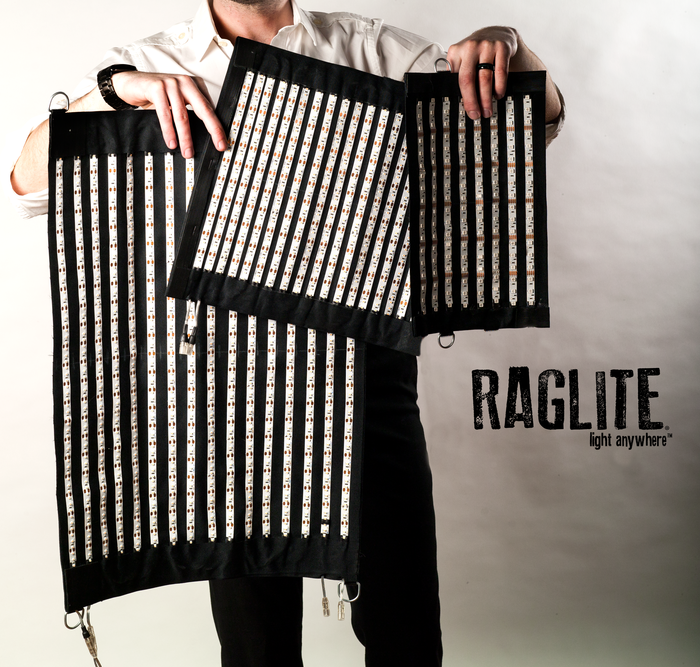 It also includes a number of mountable options, such as : D-Rings For Hanging; Magnetic Filter Holders; Velcroed Elastic Straps, etc.